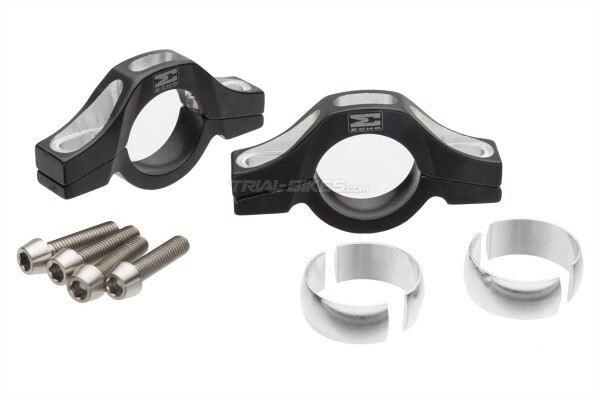 - New high quality Echo SL brake clamps. - Made from high quality CNC 7075 T6 aluminium, with CNC mechanized recesses that help save weight. - These clamps use split aluminium washers that replace the plastic ones supplied as standard with many other brakes. - These split washers help ease the set up considerably, ensuring everything stays tight. 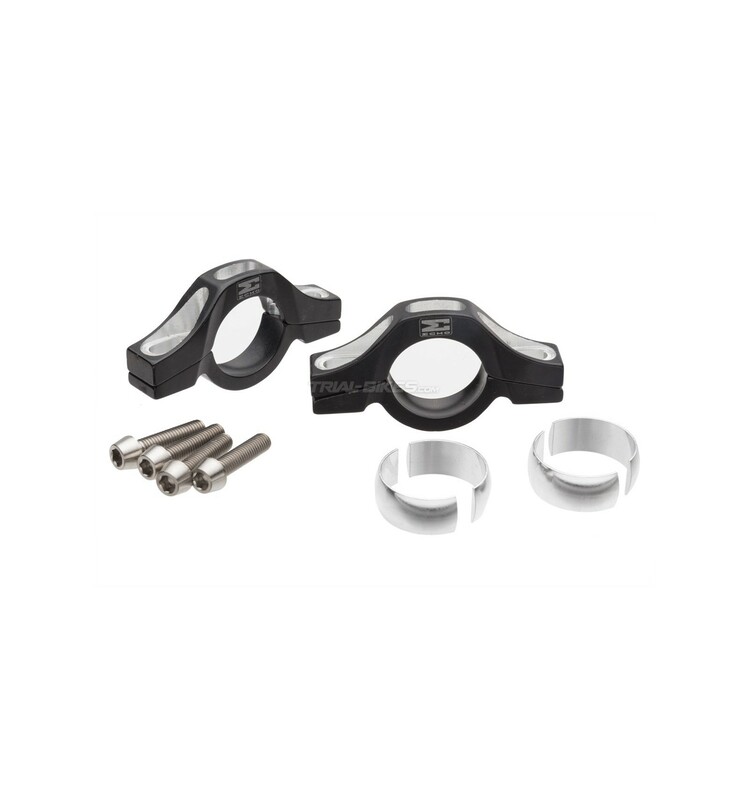 - Suitable for all Echo, Racing Line and Magura brakes. 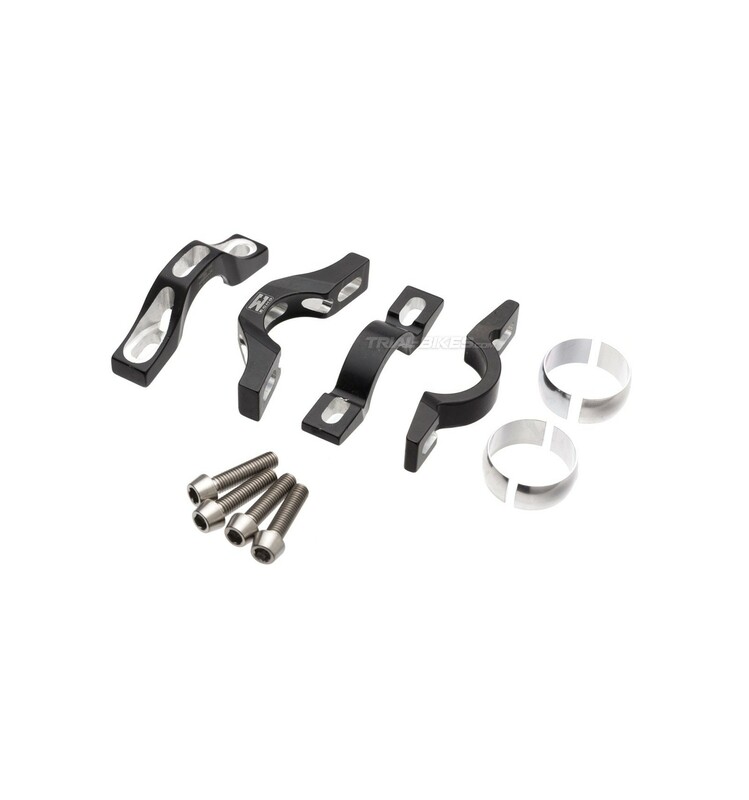 - Includes high quality titanium bolts (it’s highly recommended to apply some copper grease to the threads). - 3 finishes available: anodized black, red or silver, with silver laser etched Echo graphics. - Sold as a pair, enough for a brake.